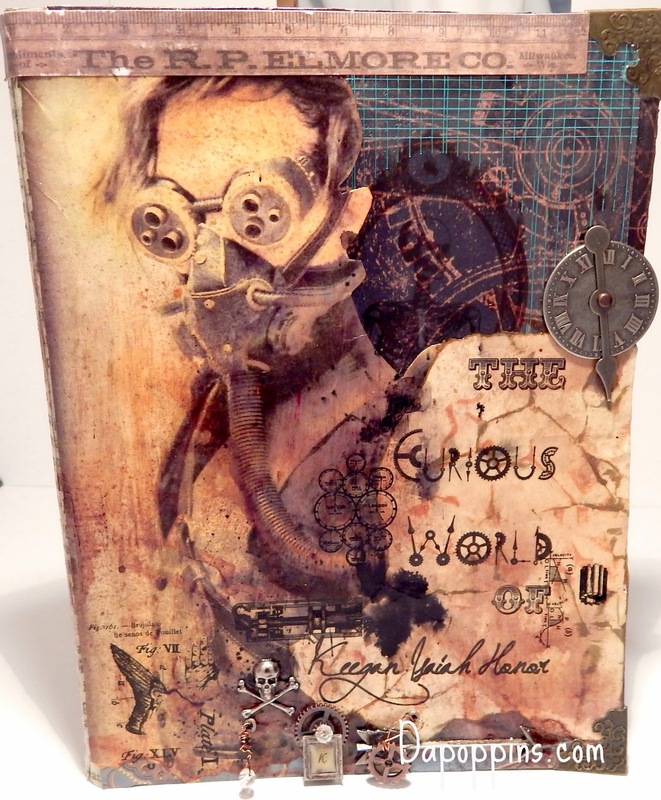 My fourteen year old requested a steampunk journal with a guy in a gas mask. So I googled it. 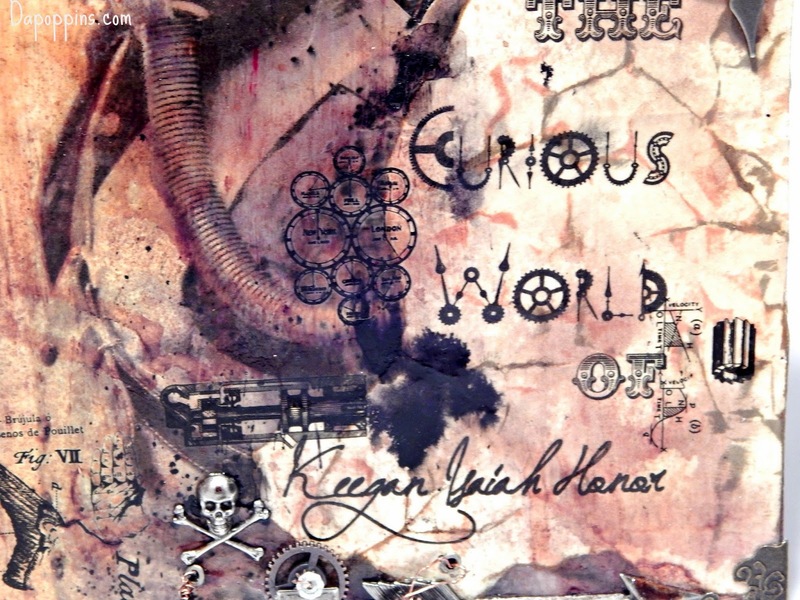 Added some Tattered Angels Spray Mists, and a few metal things made by Tim Holtz.